The time has come to establish a web presence that reflects the kind of work we’re doing. When I started Cornerstone Landscapes in 2012, I was determined to build a company whose success is rooted in integrity and excellence. 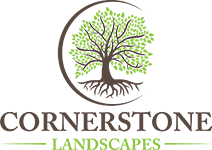 In the past five years, thanks to my incredible team, wonderful clients, and a whole lot of hard work, Cornerstone Landscapes has exceeded my expectations on every level. As well, you will find our new blog under the “Green Tips” tab. We plan to update the blog regularly with useful stories on saving water, design inspiration, and important things to know when considering your landscape. I wish to extend a heartfelt thanks to all who have helped usher Cornerstone Landscapes to the place it is today, and I look forward to seeing where we go in the years to come. By now everyone on the west coast of California is aware of our historical drought, especially those of us in sunny and dry Southern California. There are an abundance of simple ways to reduce our water use and help our drought situation, but also that enhance plant and soil health and reduce landfill waste. I believe the simplest steps, if taken in numbers by tenants and homeowners, make the greatest impact. I also believe we are being called into greater stewardship of the plot of land we inhabit, by becoming personally responsible for its well-being and our relationship with it. If it seems I repeat myself on these points, know that they make such a huge impact on our water use. And I find so few households implement them. You can see my previous two blogs on water saving strategies and lawn alternatives with native, Mediterranean and edible plants. Here I will cover the simplest, low or no cost strategies. Click here for our for our next article: “Green Practices for your Home, Landscape and Garden part 2” where we explore the practice of composting. In part 2 of Green Practices, we study and encourage composting, a simple stewardship practice for your home and business. First, some hopeful news: California issued its official declaration of statewide drought back in January, and the City of Santa Barbara followed suit and did so in February. Its neighboring City of Goleta did so in March. Since the February declaration the City has achieved a 15% reduction in municipal water use. Education and participation are key factors here. In other words, knowledge followed by action is making a difference. And the practice and benefits of mulching your garden beds and planters. So what else can be done to reduce our impact and benefit the natural ecology where we live or work? Americans produce approximately 157.7 million tons of waste per year – that’s about 3 pounds of trash per person each day! And a high percentage of that is food waste. Moreover, it’s a myth that food decomposes in a landfill. By design landfills are sealed containers, void of oxygen and moisture, attempting to prevent toxic leachate (the liquid byproduct) from contaminating groundwater. In this environment, food and yard waste is mummified instead of decomposed, and this produces methane gas. If you want more information, you can read up on the science here. There is a solution! Composting is a simple process that can be done in an urban setting, as well as out in the garden. Water and plenty of air. I have also found adding a very fine layer of soil -a sprinkle- acts as an inoculant and accelerates the process. Think of your compost pile like lasagna, layering brown and green, monitoring moisture, watering occasionally and turning the pile as often or infrequently as you want. Turning the pile has shown to speed up the decomposition process, but I prefer the hands-off approach. Compost piles should be a minimum of 3x3x3 feet, for it takes a critical mass of organic material to ignite the decomposition process. Piles can be right on the dirt, or in a variety of bins. Santa Barbara County provides discounted Earth Machines @ $40, which retail for over $100. Here is a list of facilities where they are available. Check with your local City for similar programs. For those who want more information and are ambitious to read more, this booklet provides valuable information from the County of Santa Barbara. So what’s with all the buzz? For those who need more motivation other than reducing landfill waste, realize composting turns your waste into gold. Every day the average American wastes one of our most valuable resources. Compost does wonders for vegetable gardens and landscaping. The process of decomposition takes complex organic molecules and breaks them down into the simplest, water soluble and absorbable nutrients where they become available to plants. In addition, it increases beneficial microbes and fungi in the soil, which are inextricably linked to soil health. Composting is the way of our ancestors and indeed, the way of the future. Synthetic fertilizers are salinizing our soils and polluting our groundwater. With compost, it is unlikely that your landscape or garden will need fertilizer, unless it was formerly degraded and already deficient in nutrients. Composting means healthier plants and lower maintenance costs. Please share your composting success stories and any questions you may have, and check out part 3 of our series ‘Green Practices for your Home, Landscape and Garden” where we explore home greywater systems. 4) Replace your lawn with drought tolerant plants or food producing plants, or both! There are so many plant choices in our forgiving Santa Barbara climate with nearly 300 sunny days per year. Choosing between California Native plants, drought tolerant Mediterranean plants from around the world or desert plants and succulents is a matter of taste, matching existing landscaping and the home’s architectural style. And try this one on: if you are going to water, why not grow something you or someone in the community can use? Have you ever thought of replacing a lawn with a kitchen herb garden, vegetable garden, fruit trees or combination of the 3 in a food forest? Food producing plants can be installed with just as much attention to beauty as ornamental plants, though you get more than beauty in return. Experience the joy and health benefits of growing some of your own food, or donate it. There are programs like Backyard Harvest that will harvest and put your bounty to good use within the community.